You can also use the arrow keys <- -> (on your keyboard or screen) or the mouse wheel for step by step viewing. May I invite you for a virtual trip through Laos. Starting at the capital Vientiane. Then via Vang Vieng, beautiful situated at a river with Karst mountains and caves to Luang Prabang, a world Unesco heritage site. Then to the hill tribes of North Laos. Then down via the Karst mountains of Tha Khaek to South Laos with the 1000 islands. We end our trips at waterfalls at the border with Cambodia. 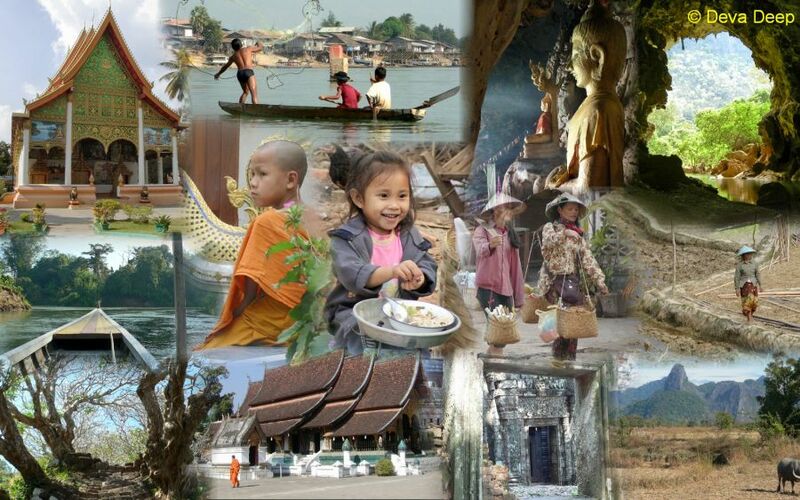 Laos has kept a lot of the original relaxed atmosphere and a natural simple way of living of the people. Sometimes you feel back in the past.